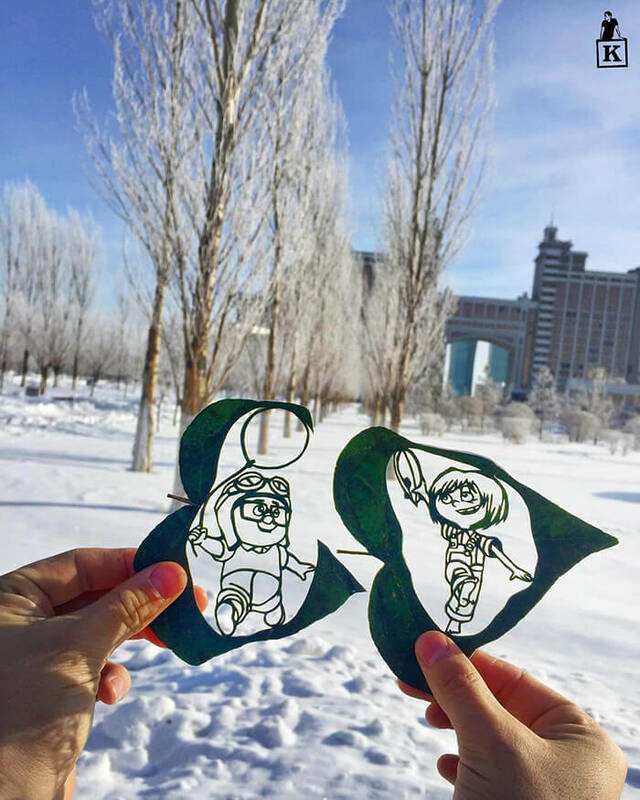 After the trimmed hair drawing, I don’t think there is more weird drawing approach will surprise me in these days. 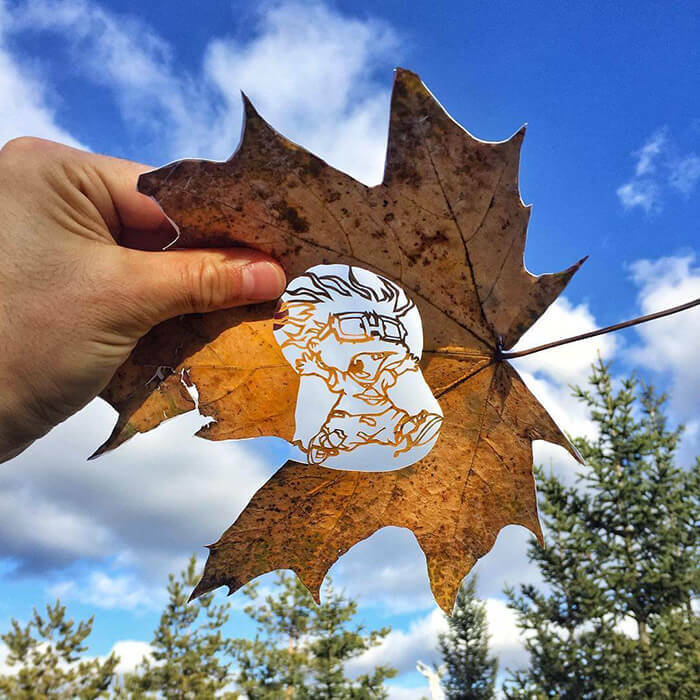 It might not be fair to today’s cutting-leaf drawing. 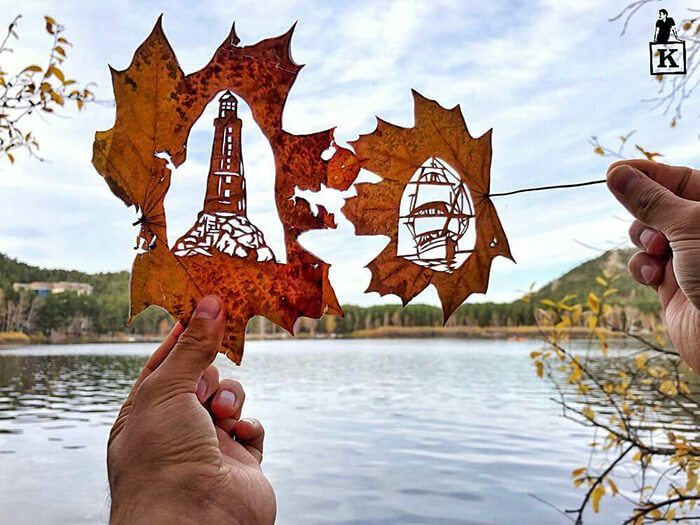 The artist is really skillful, detail-oriented and with tons of patience. 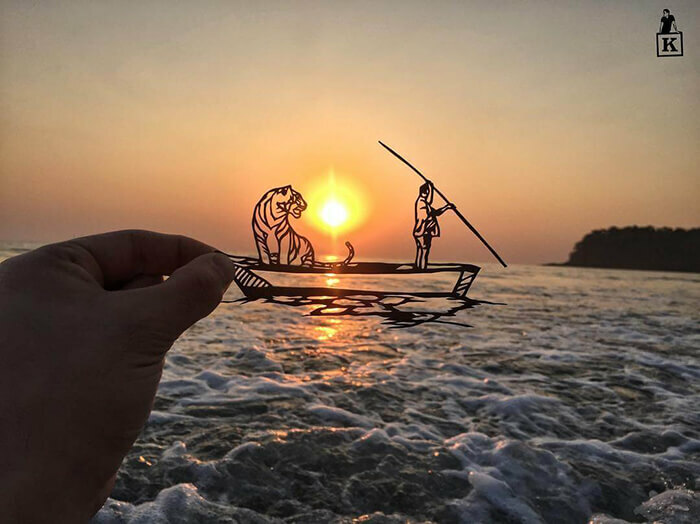 But somehow, it is just not as impressive as the hair one to me. 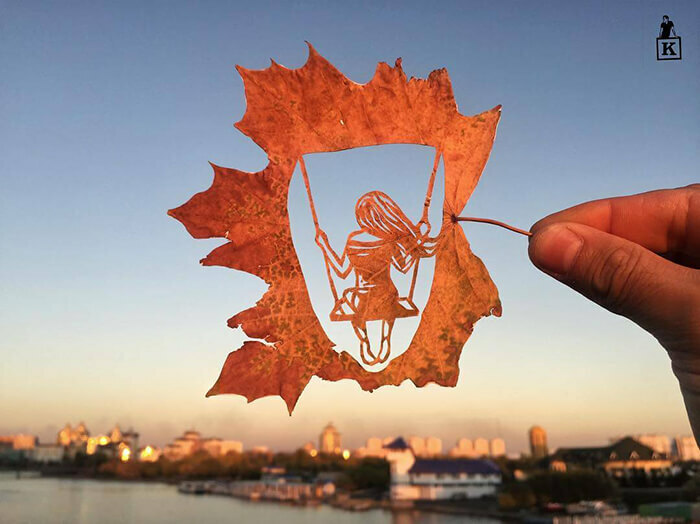 Moreover, I found the fallen leaves drawing shared some similarity with the trimmed hair painting. 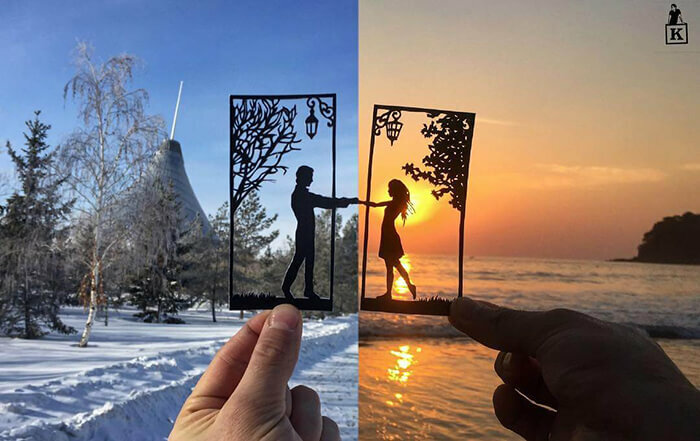 They are both kind of unwanted and the art created out of them won’t last long. 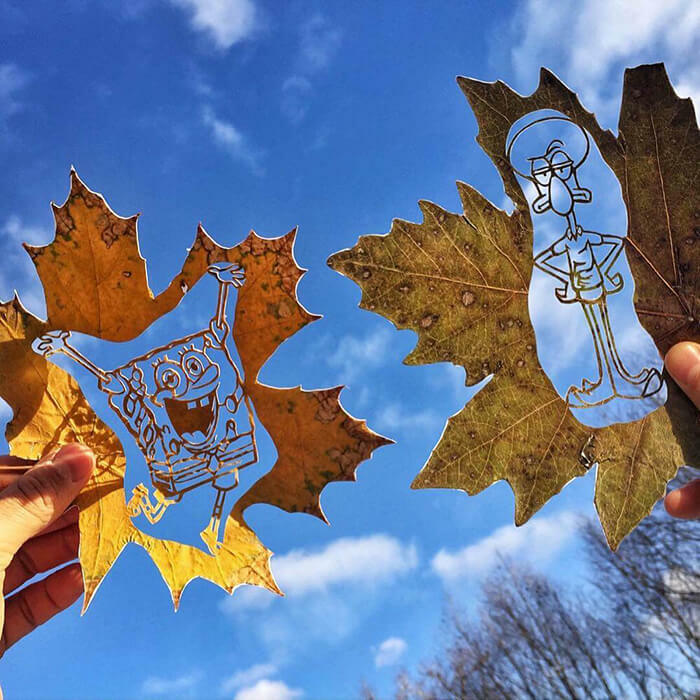 But anyway, let’s turn our head away from the bizarre hair painting to this much ordinary leaf cutting. 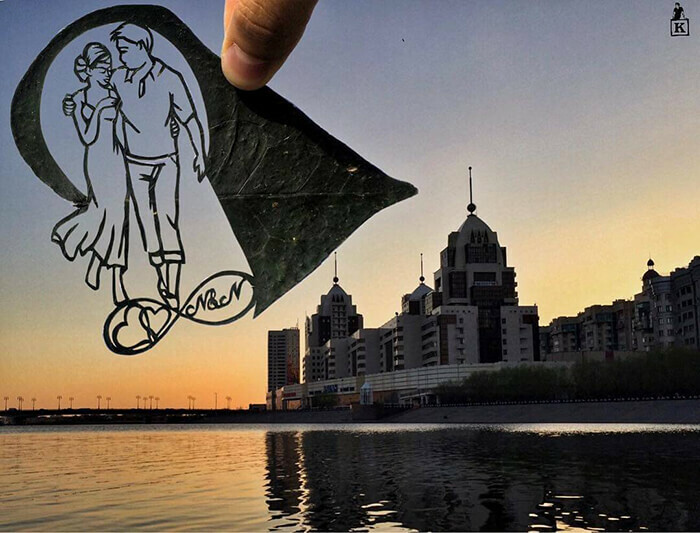 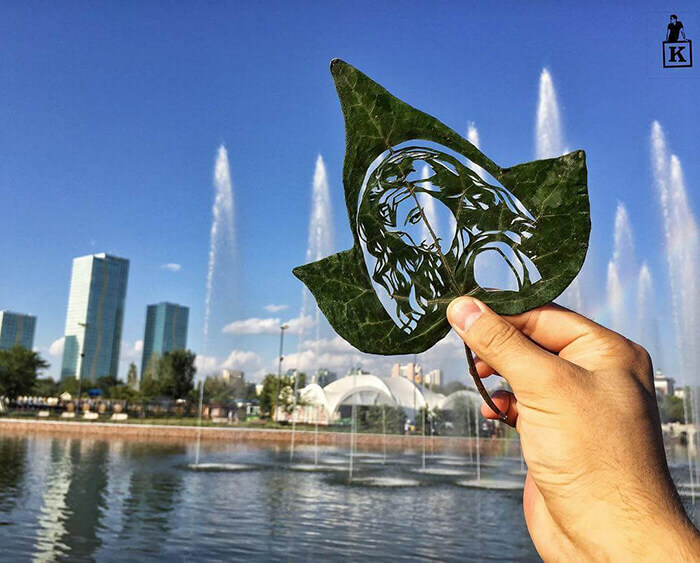 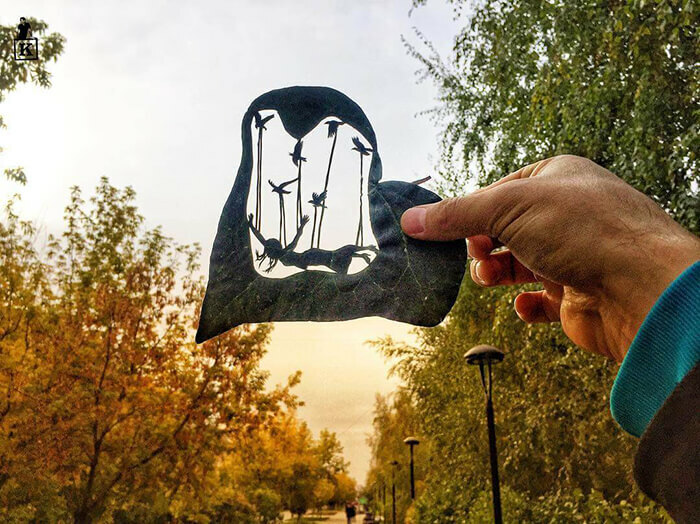 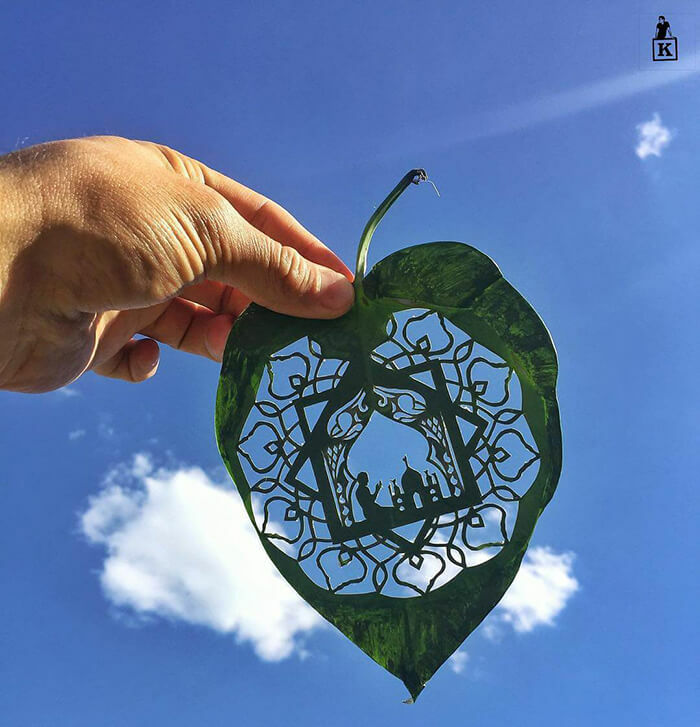 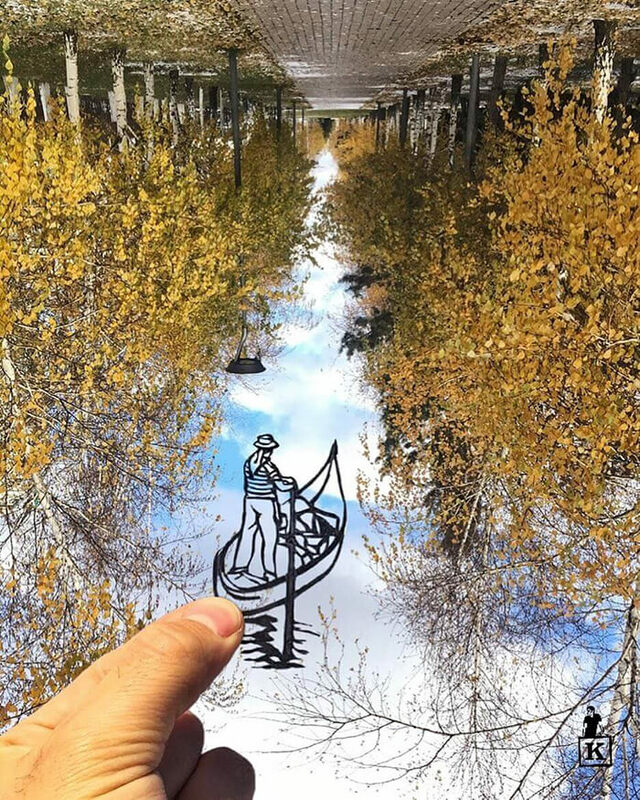 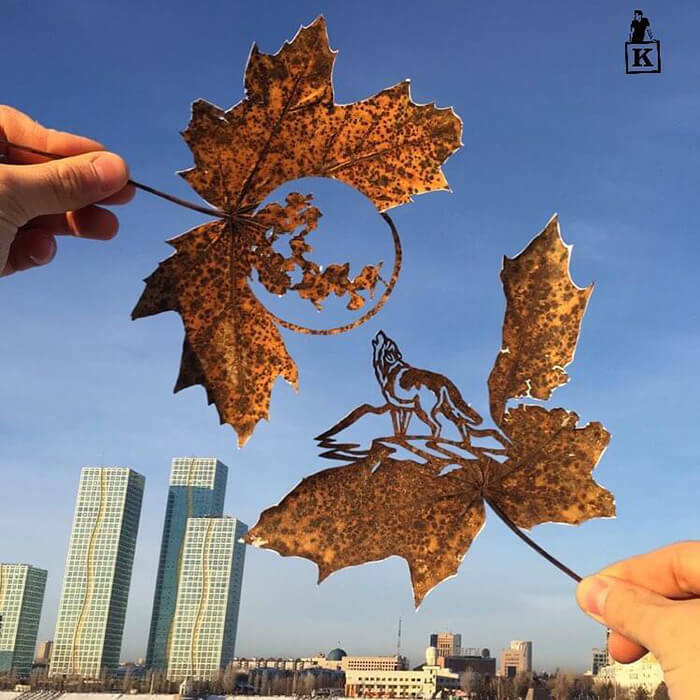 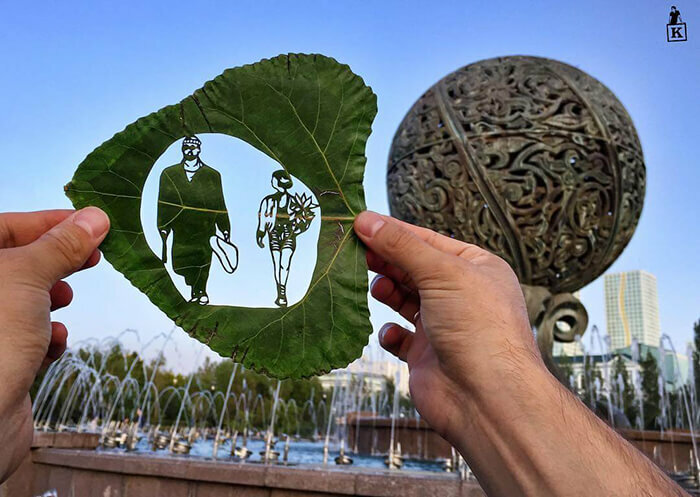 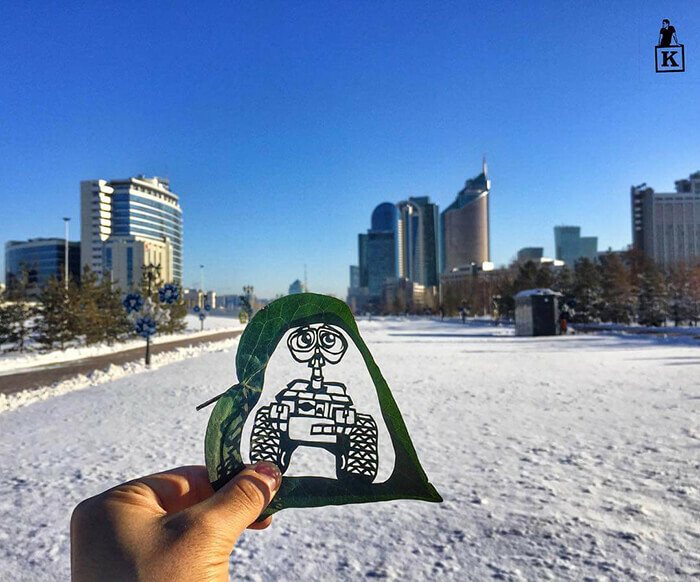 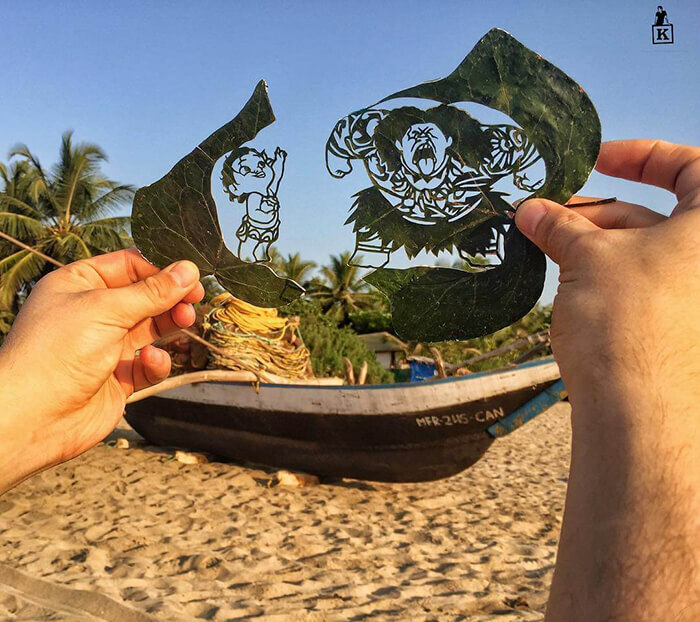 According to the artist Kanat Nurtazin, “Leaf-cutting art is one of my favorite. 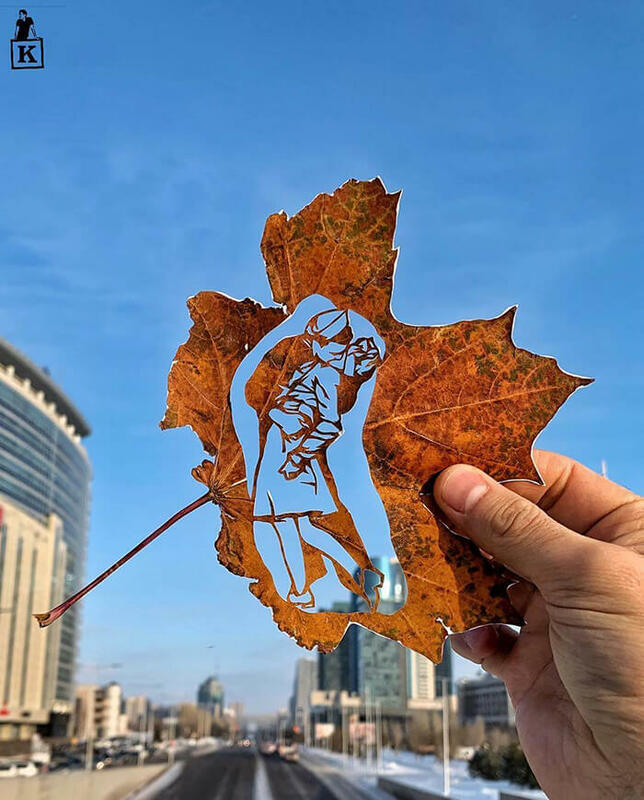 Leaf’s life is fleeting so as our lives and I am giving a second life to them to discover an untold story”. 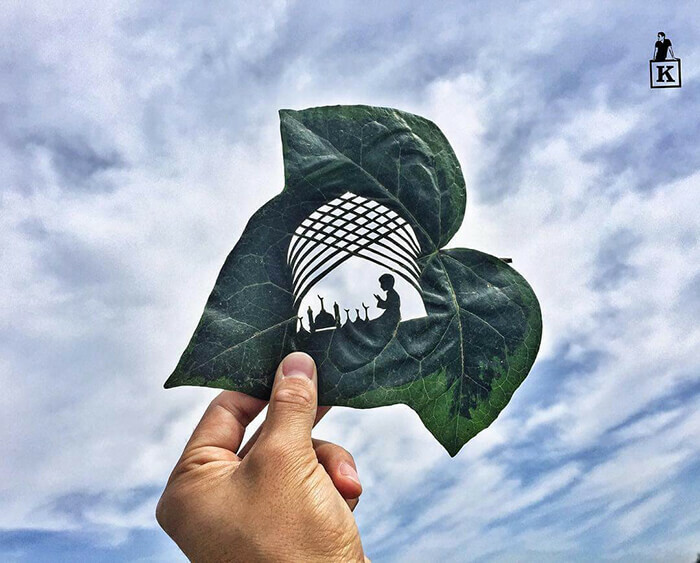 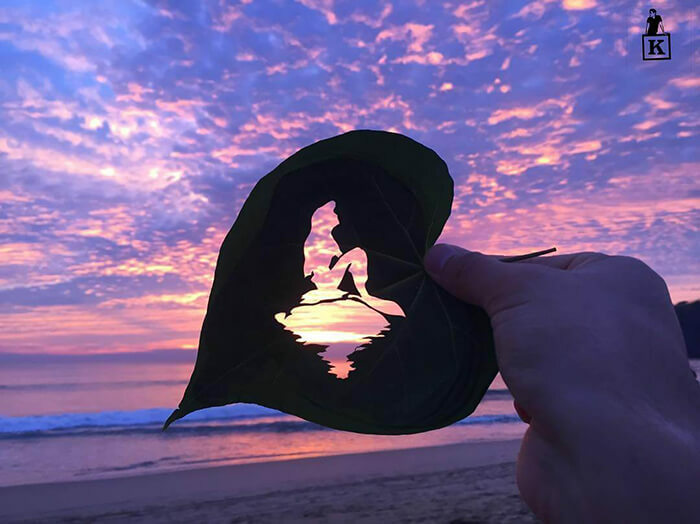 To create such leaf painting, Nurtazin needs to draw first on the leaf and cut with a razor. 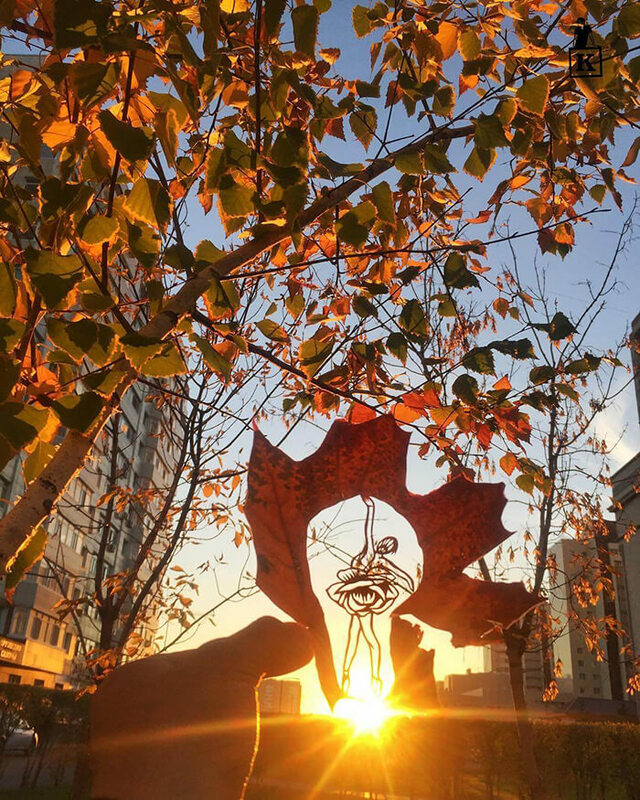 Then find the best suitable place to catch with my camera at the right time and right angle.